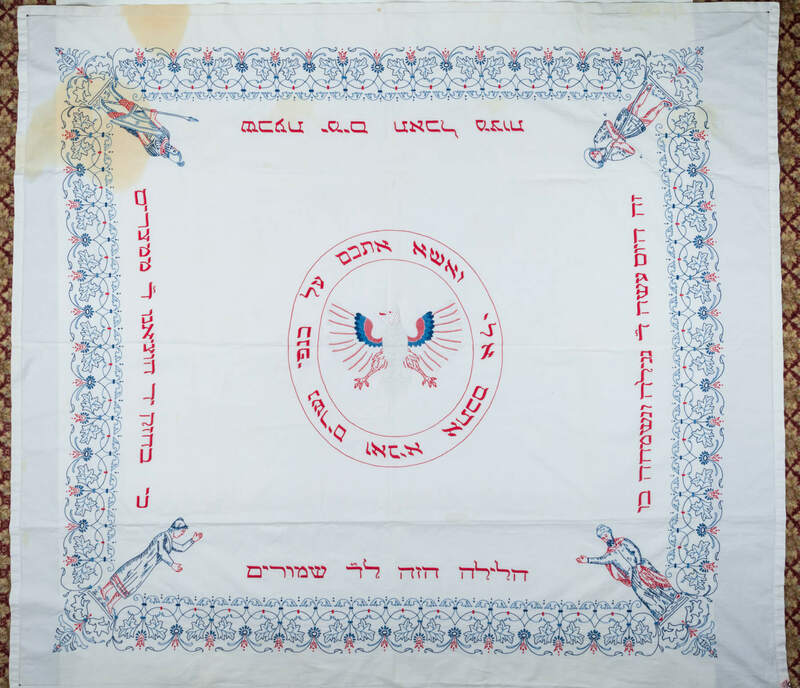 A LARGE EMBROIDERED PASSOVER TABLECLOTH. Germany, 20th century. Hand stitched with excerpts from the haggadah. Old stains.